Well yesterday, Google officially launched their own browser. Google Chrome was born. According to Google, Google Chrome is a browser that combines a minimal design with sophisticated technology to make the web faster, safer, and easier. So here's a quick lowdown on Google Chrome. What: Launches it's own web browser for viewing/browsing web properties. This new open source browser is intended to create a better web experience for users around the world. Where: The Internet. Available in beta in more than 40 languages in over 100 countries. Why: To compete with Microsoft's Internet Explorer Version 8, FireFox and other browsers. Is there anything original in Google Chrome? Dynamic Tabs - You can drag tabs out of the browser to create new windows, gather multiple tabs into one window or arrange your tabs however you wish -- quickly and easily. Incognito Mode - A privacy mode, called "Incognito"
OneBox for Everything - Web search. Web history. Address bar. Suggestions as you type. One unified box serves all of our browsing needs. Safe Browsing - an automatically updated phishing and malware blacklist using the Google Safe Browsing API. 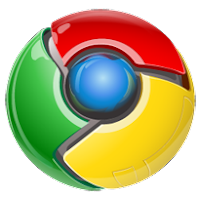 Google Chrome represents the latest innovation from Google as they move into year eleven. Look for Google 10 Year Anniversary posts throughout this month from SEO-Space.